"These achieve their function and are pretty unobtrusive. I will bring these around with me if i'm going to long and loud gigs. I didn't feel silly or like they were visible. I was almost able to forget I had them in." "Easy and comfortable to wear. Limited obstruction to music." 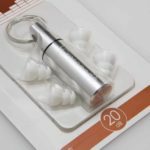 "Life changing - after years of muffled sound using foam earplugs." 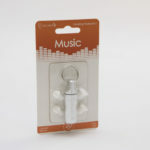 "These earplugs are stylish, come in a very handy carry case, and fit comfortably in the ear. 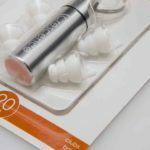 These secondary considerations importantly enhance the likelihood of using the earplugs out, which above all are great in reducing the sound whilst retaining music quality." "Well packaged and easy to use."